Jonathon knows the male brain. He listens to women and what they want. Most importantly, he is gifted at bridging the gap between the two. As a “guy’s guy”, he committed years ago in the wake of his divorce to forever persevere along the path of self–knowledge and growth. Part of the process began as a tentative re–entry, followed by a full–blown immersion into, the dating world. Through dating and discussion of dating experiences with fellow singles, Jonathon not only learned volumes about himself, but developed a network of close friendships with men and women likewise seeking to “choose better” when it came to life partners. As Jonathon found men and women gravitating towards him with tales of their dating encounters, he started to see patterns in the things women complained about most, and those that continually baffled men. Over time, he realized that processing information from both sides and combining them with his own dating experiences enabled him to filter out the interpersonal “noise” that often causes people to invest in someone who is wrong for them. In short, he utilized the clarity and resulting confidence that had fueled his own personal growth to assist others in their relationships. Jonathon’s career as a dating coach/confidant had begun. Since then, Jonathon has taught hundreds of clients “purposeful dating” using his proven methods of coaching. Most recently, he has chosen to focus on working primarily with women, who he freely admits tend to be more coach-able than his own gender. Jonathon Aslay grew up in Redondo Beach, California as part of a quintessential, now increasingly rare, nuclear family. 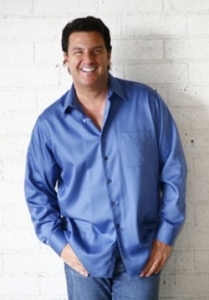 He’s a successful entrepreneur and actual graduate of Loyola Marymount University. Jonathon is blessed with two sons and enjoys a close relationship with parents who recently celebrated their 62nd wedding anniversary. Read more about Jonathon on DatingNews.com.